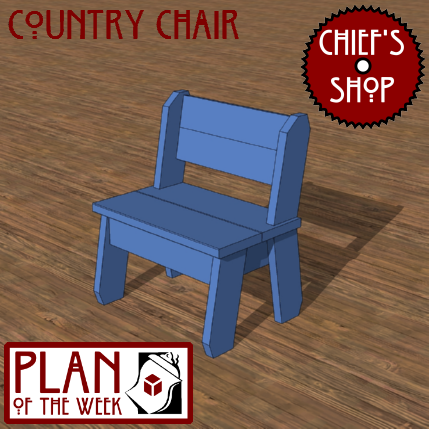 The Chief’s Shop Country Chair looks small but offers a generous seating area. It’s perfect for a cottage-style kitchen, or as an all-purpose utility chair. Use exterior-rated lumber and it would make a great outdoor chair. Assembly requires a Kreg Pocket Hole Jig. You’ll need a miter saw, jigsaw or table saw with a tapering jig, drill driver, and Kreg Jig to build it.